I spent the better part of our afternoon preparing a feast we were having for both sets of parents this evening, and I loved every bit of it. Especially the eating. Caprese stuffed chicken in a balsamic glaze, hasselback potato casserole, herbed cauliflower breadsticks, and salad. 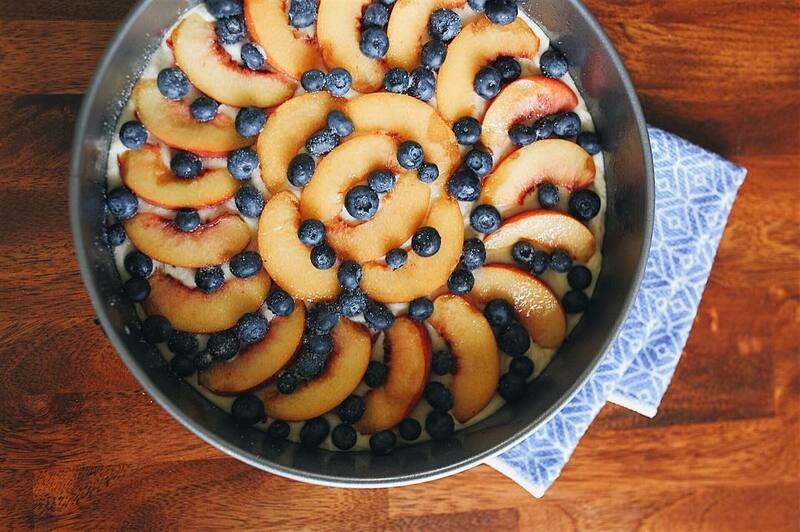 And for dessert, a peach and blueberry greek yogurt cake. I spent the better part of our afternoon preparing a feast we were having for both sets of parents this evening, and I loved every bit of it. I love trying new recipes and prefer cooking over baking, but I actually enjoyed baking this gem. Thanks to Pinterest for 4 new tried and true recipes.